It was another year of brewing creativity and expansion in the national capital in 2016. BentSpoke Brewing Co marked its second anniversary and head brewer Richard Watkins christened the brewery's new canning facility. 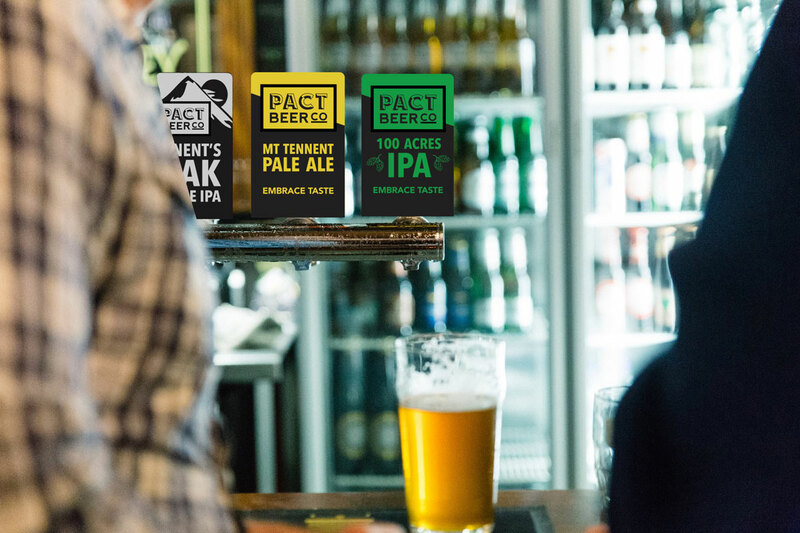 Pact celebrated its first anniversary and added to its range of packaged beers, while Capital Brewing arrived on the scene and quickly established itself as a new player on the Canberra Brewing scene and beyond. Both The Wig & Pen and Zierholz appointed new brewers, Alan Ball and Martin Budden respectively. Zierholz also announced plans to expand to a new estate on the edge of regional winery town Murrumbateman in 2017. Variety and creativity are hallmarks of all these breweries, with each finding its own style, so there is always a new beer to sample in Canberra. And this creativity is often being fed by collaborations between the breweries. In the past year, Pact and the Wig & Pen put out several Pact and Pen beers (who could forget A Currant Affair named for Tracy Grimshaw), while BentSpoke collaborated with Wadworth’s in the UK and with Cooking with Beer author Paul Mercurio. And, for Canberra Beer Week, all five major breweries combined to produce High 5, a beer using five different malts and five different hops. 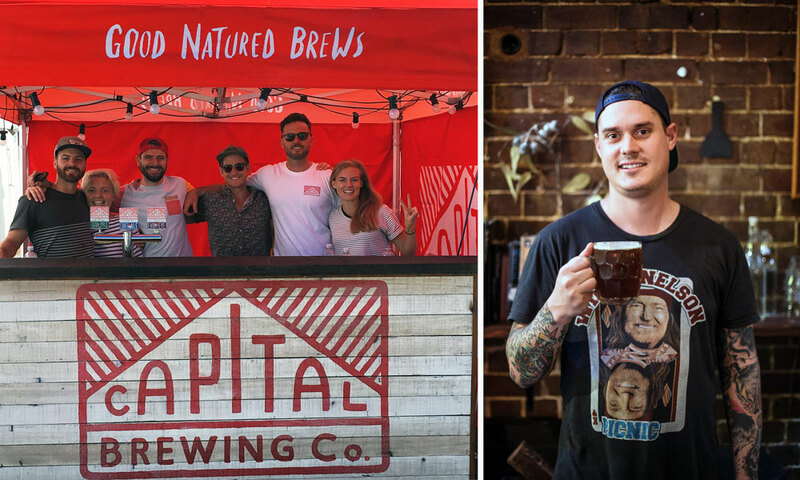 The new year is promising more progress, with Capital’s ACT brewery rapidly taking shape, BentSpoke’s Mitchell based Cannery to open as a public venue, and Belconnen craft beer pub The Pot Belly to start brewing its own beer on the premises. 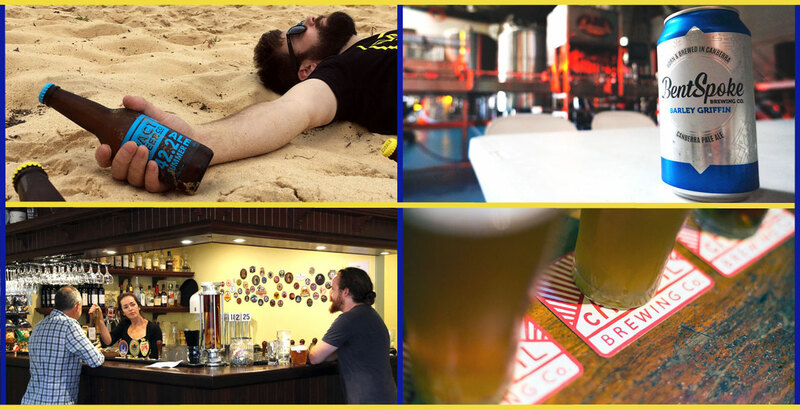 Before then, however, a look back at the year just gone via the best new beers we believe were produced by the state's five brewing companies. To help with our list, we sought some help from The Thirsty Hop, aka Drew Sculthorpe, and Tim Rasheed from Page Bottler, which has established itself as Canberra’s northern beer mecca, eager to stock a sterling range of Australian and NZ craft beers. 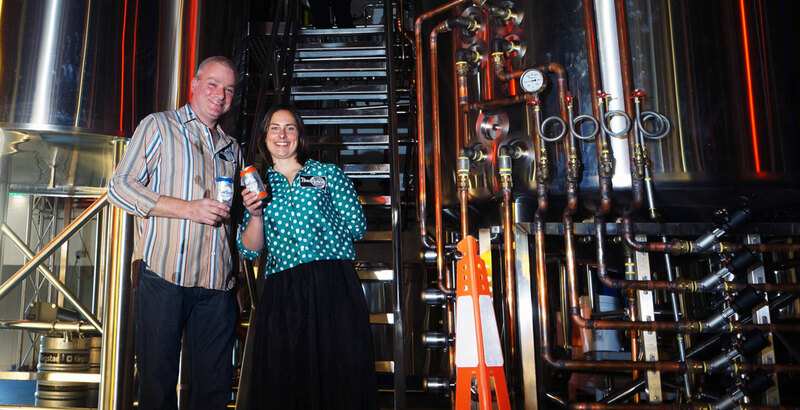 Richard Watkins and Tracy Margrain at the launch of BentSpoke's cans at their new Cannery. Never one to shy away from the bold and the beautiful, BentSpoke again nailed its flag firmly to the mast of big beers. Descent 16 is everything you could want in an imperial stout, with about 60 percent more of everything. Beautifully fermented to 16 percent ABV, this rich tipple of chocolate, coffee and dark fruit has just the slightest warming (and welcome) alcohol character, which helps merge all the flavours together. Great in winter, but superb in any weather. IPAs are a dime a dozen nowadays, right? But great ones are still a pleasant surprise. While "bigger is better" seems to be the aim of most craft breweries’ IPA offerings, Pact has found a great sweet spot. The 100 Acres takes in the best of US West Coast IPA malt character (dry and malty without being cloyingly sweet) but brought the hop bitterness back from enamel stripping to thirst quenching, while maintaining a refreshing fruity, piney hop flavour and aroma. Red IPAs can go a few ways, from sweet caramel to just a hint of chocolate and roast to bring out the rich, malty flavour. And if the hops go the wrong way, you just get a hot mess of tropical fruit and coffee. Capital has found a very drinkable middle ground – full-bodied malt with a mix of dark caramel and bitter chocolate with spicy, piney hops through the aroma and flavour. The six different hop varieties in this beer have been expertly utilised to bring out a depth of flavour that plays very nicely with the malt. Richard Watkins was one of Australia’s sour beer pioneers at the Wig & Pen years ago, so it was great to see him find his funk again at his Braddon brewpub. Puss in Boots is a pale, sour beer fermented with grain-cultured lactobacillus: an acid producing bacteria that sours the beer during fermentation. The result here is bracingly tart but highly refreshing, with a delicious complexity. The Wig has had a pretty tumultuous couple of years relocating from its original home, which was being demolished, to new digs at the Australian National University’s Llewellyn Hall. Head brewer Frazer Brown and subsequent replacement Alan Ball both hit their strides in 2016, solidifying the Wig’s lineup and bringing out new creations. Velvet Glove was a highlight of June’s Dark Fest, where the pub served up ten different dark beers. A lovingly bolstered version of the Wig’s classic Velvet Cream Stout, Velvet Glove offered smooth chocolate, creamy malt sweetness and just enough bitterness. As its name suggests, it’s halfway between being slapped and smoothly caressed. Pact Beer L Yeah – A bright, refreshing lager showcasing new hop variety Loral. Capital L Lovely. Wig & Pen No Name Black Beer – A black IPA that speaks for itself, no further introductions required. Capital Brewing Coast Ale – A flagship beer in a solid range from Capital, the California Common offers a refreshing lager-like beer for the craft beer newcomers, but a delicious herbal twist for the beer geek. Wig & Pen This Charming Mild – Milds were session beers before they were cool. This is a classic chocolatey, roasty offering that you can drink all night. Canberra Beer Week collaboration High 5 – Sweet, fruity, robust (but not boozy) and delicious. Who said a committee in Canberra couldn’t produce anything worthwhile? Don't forget that voting is now open for the GABS Hottest 100 Aussie Craft Beers of 2016 poll where you can pick your own five favourites from the year just gone. And, if you fancy heading back in time, here's our top picks from ACT in 2015. 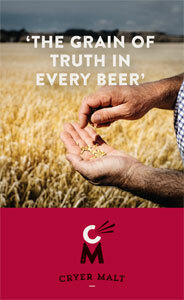 About the author: Patrick Baggoley is education officer and BJCP trainer for the Canberra Brewers homebrewing club.